When the Soviet designers came to the supersonic level, they faced a big dilemma. At the boundary of the supersonic speed, the aircraft wings have been broken up. After many long and sleepless nights, the Soviets’ designers solved the puzzle. They guessed that a traditional corner joint of the wing to the body was too weak for the supersonic speeds. They decided to reinforce the connection of the wing to the body to 90 degrees. Thus after many working, was born the first Soviet supersonic Delta-wing aircraft. In America such a tragicomic situation has not arisen. In 1956 at the New York exhibition - "Gold of the pre-Columbian America," American jet project designers, very interested in gold micro model airplanes of Atlantis. They ordered these models for testing and soon the sky above America's was flying, first supersonic Delta-wing aircraft «Black Bird». These figures have been investigated long ago by American and European experts. They have proved that the “golden birds” are the real crafts. In the wind tunnel, testing showed that the aerodynamic properties of the “golden birds” are particularly well manifested at supersonic speeds. German Air Force officer, Peter Belting made similar model of aircraft. He created even a jet copy of the forgotten "flying dragon" of Atlantis. Calculations for the Peter Belting, were carried out professors at the University of Bremen. It is not necessary, to be a primitive aborigine, to recognize similarity between the dragons and "Golden Birds". On the wings of these "fire-breathing dragons", on some models, clearly visible head of the unknown weapons, made by Atlantians. Of course Atlantis Planetary Empire had military and civilian supersonic and conventional aircrafts. Quick jet crafts, fast air and naval transport ensure reliable control of a planetary empire and their areal aristocracy as well. The Atlantans also had many different marine and civile jet crafts, that were cutting quickly waves of the oceans, seas and large rivers. The picture represents a unique and versatile jet craft «Mercury-Amphibian». 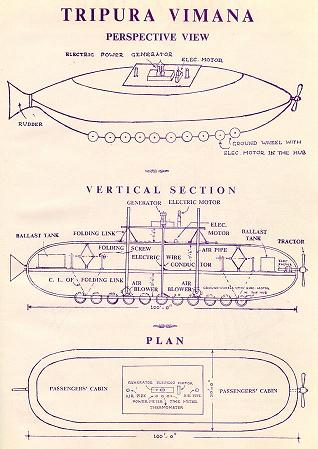 All pre-flood crafts that could move under water, called as the "Mercury". Accordingly, I have to call the versatile vehicle as the "Mercury Amphibian." It was an amazing craft among similar ones, made by early developed, left-handed genius people. «Mercury-Amphibian» was moving under water and over the land. In fine calm weather, on a flat surface, not very large models of these crafts could move by supersonic speed over the water surface. My restored model needs a small revision. I’m sure that the top cab for the driver, was oval and had real aerodynamic shape. Motion under the water by universal craft «Mercury-Amphibian» was a safety maneuver in the dead-full stormy weather. Big waves could scattering and destroyed the craft and passengers. During the stormy weather «Mercury-Amphibian» could submerging at shallow depth, to continue the path temporarily under water. Driver could turn off a jet engine behind and included a powerful screw in front of the craft. After calming the storm, driver could continue movement over the water surface, including a powerful jet engine behind and turning off the front screw. «Mercury-Amphibian» above the water surface, continuing his way at high speed, according to weather conditions. After arriving at your destination on the banks of the river or the sea the ship was raised on the coast and could move over the shore and available terrain to the settlement of pre-flood farmers and hunters. 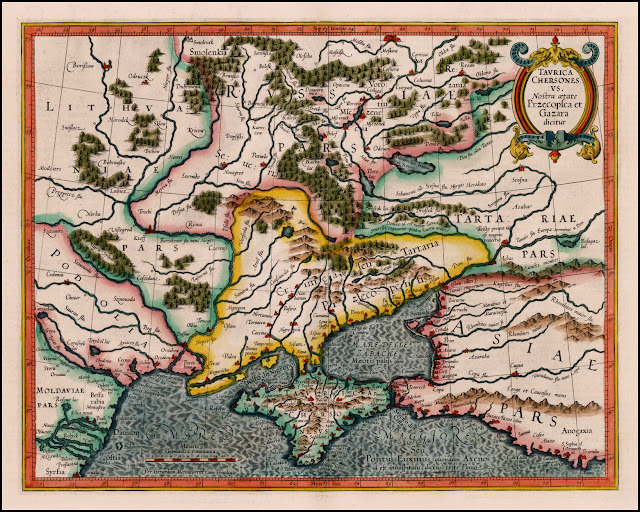 We have many antediluvian maps, where the major settlements of pre-flood hunters and farmers are founded by the coasts of the seas and oceans and over the valleys of large rivers. Vedic civilization saved to us conclusive evidence about the construction of an amazing universal vessel "Mercury Amphibian» (TRI-PURA VIMANA). In the name vividly shows word "three-[tri]". The Slavs have the Slavic-Aryan origin. In the plain language means Atlanto-Slavian origin. Into Slavic languages three means - [tri]. Do not be surprised, the word "three-[tri]", had the same values ​​for the Atlanteans over 12,500 years ago. The word "three" in the title of the versatile vehicle means that it can move in three different environments: under water, over the water and on the land. 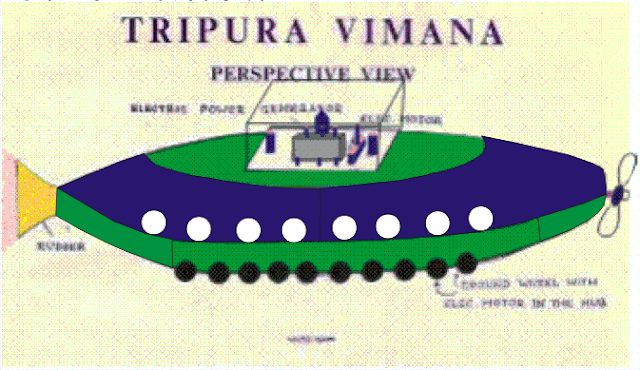 TRIPURA VIMANA is already decoded – Craft of the Three Environments. The closest planet of the Sun - Mercury had same name in the pre-flood cycle of civilization. Atlantean scientists noticed similarities between the motion of the planet Mercury and a submarine. Planet Mercury usually appears just before dawn for a short time, at one end of the horizon and disappears rapidly. After some time the Mercury appears briefly before sunset, on the other end of the horizon and disappears rapidly as well. Underwater craft could also repeat such movement. It could appear over the one side of the sea horizon, with disappearing quickly into the sea. After some time same craft can be appeared at the other end of the sea horizon, with disappearing quickly into the sea. The decoded truth is very easily to be explained. Spring on the molybdenum rod. Many wheel for the «Mercury-Amphibian» is conclusive evidence that it is designed for off-road up by the shores of rivers and seas, and over the possability relief. Thus Atlantians’ settlements all around the earth had very bad roads. Pre-flood civilization widely used high speed “roads” over the oceans, seas and rivers. Such small models of the "Mercury Amphibians" could be used widely by the terrestrial (areal) rulers, scientists, priests, hunters and farmers. 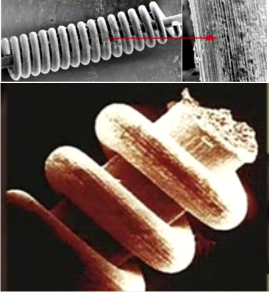 “Jet Pillar”- ["Jet [dĵet] - a strong jet (water, gas, etc., emanating from a narrow opening, the nozzle")] miraculous survival "Jet pillar" actually in the Egyptian temple, is a model of reactive craft "Mercury". Atlantians had a very large jet crafts. By using hydrofoils, these jet crafts could move rapidly over the water surface. They were used for the transportation large cargo, including military units and their equipment to restore order in a huge Planetary Empire. These vessels were known the "Mercury" as well. These models of «Mercury» could not rise on the ground and intended primarily for the rapid movement over the water surface. Underwater movement they also had for the safety option to save the cargo, passengers and ship. Particular design of the "Jet pillar" - in fact tells us that the model could create jets. Now we know exactly that the jet is a movement source. Using reactive fuel, during the movement «Mercury» produced huge pillar of the water vapor. We know exactly name of the pre-flood fuel – [rasa]. Thus «Mercury» was the common name for the marine crafts, but not fuel. The images in the table indicate two different models of the pre-flood jet crafts. Both crafts have four hydrofoils. At the ends of these models are shown the nozzle of a jet engine. Movement of these crafts was designed by Atlantians’ scientists for the powerful jet of gas coming out at the end, through a nozzle. The first model is from the archaeological finding. The second model is drawn on the wall of the Temple built by post-flood boundary dynasty (Hermes I, II, III) in Egypt. It is a magnificent architectural masterpiece. The great temple, built by survived Atlantians and their generation using hamitic aborigines and their surviving architects from Atlantis is an magnificent. 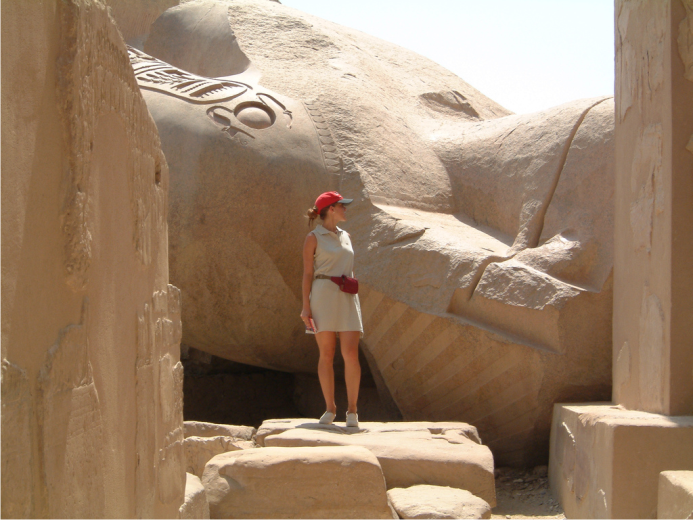 The architectural masterpiece created by survived Atlantians is announced as a temple of dynastic Pharaoh Seti I. Thus Egyptologists have stolen from the history more then 9000 years. The actual age of the Temple - ~(10,465 ÷ 10,400) B.C. Seti I was a pharaoh of XIX dynasty in Egypt, who ruled about 1290 ÷ 1279 B.C. Thus, the temple is too rejuvenated by falsifiers of history and Egyptology. An additional hieroglyph of water is not added in vain beneath the cartouches. We have a clear indication of the Marine or Civil jet craft which was interrelated to water. Actually three Heqa indicates Jets of the craft by water. 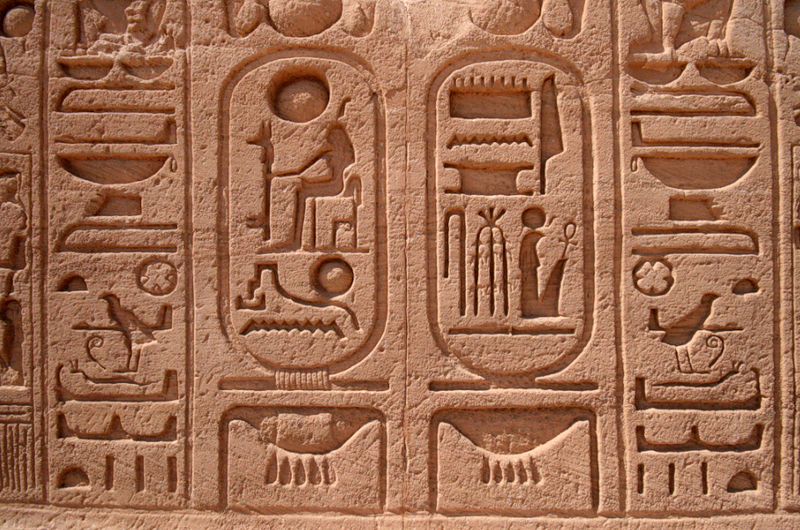 In the Cartouche of Mercurius Ter maximus is written: His Excellency, Pharaoh of Egypt, Potentate and Owner of the Lands, Seas and Throne. Majestic God and Supreme Priest (Hermes II), Creator of the majestic offerings for the victims of Apocalypse - lots of souls of deads. Mercurius Ter Maximus, Hermes Trismegistus, Thrice greatest Hermes are the nick names of Enoch spread in the different cultures. 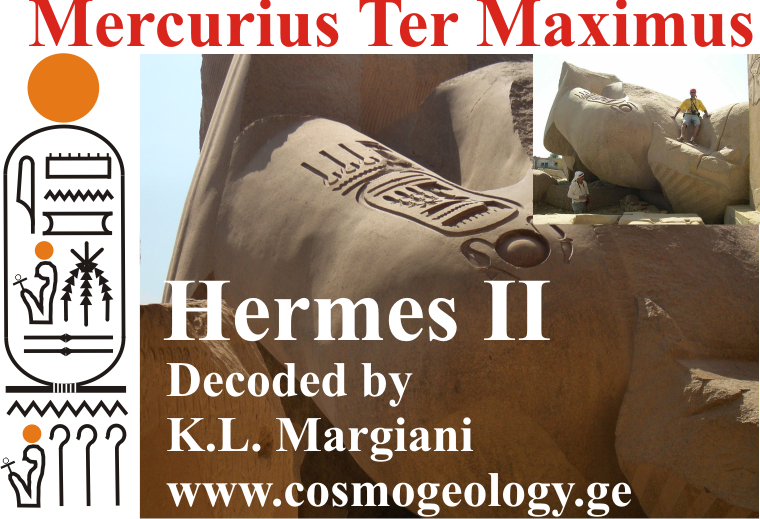 Mercurius Ter maximus: Cartouche of the genial King, Pharaoh and supreme priest has second understanding of the famous pre-flood jet craft «Mercury». Heqa (one of the symbols of divine power) – "divine shepherd of sheeps.". Three Heqa - «Trismegistus» - «Thrice greatest». Thus we can read shortly his nick name: Mercurius Ter maximus. Hermes Trismegistus, Thrice greatest Hermes: At the end of the cartouche we can see Hieroglyphs of Hermes and Three Heqa. Thus we can read shortly his nick names: Hermes Trismegistus, Thrice greatest Hermes. Note. My Congratulations for the Egyptologists. Ramesseum became Hermesseum! Builders of the Giza Complex and other Magnificent Architectural Masterpieces in Egypt are decoded. Mercurius Ter maximus has lost status of the mythic person and became Real Genial Historical Figure, of the Post-flood boundary. Marine or Civil jet craft «Mercury» in Egypt was interrelated to special hieroglyph. Name a famous dynastic pharaoh «Menkaure» was interrelated to jet craft «Mercury» as well. During the reigning of «Menkaure», in Egypt began constructing large water vessels like the "Solar Barge", The ship ("Solar Barge") is on display to the public in a specially built museum in Egipt. Certainly Pharaoh «Menkaure» likened himself to great gods (Atlantians), who ruled Egypt for thousands of years. It is not strange, for the pharaoh had been chosen name, according by dynastic dialect of the word "Mercury". Large Atlantians’ jet crafts «Mercury» by using hydrofoils were too rapid but not supersonic. They were moving quickly over the water and from the capital of Atlantis to the delta of the Nile could get in one day. Capital of Atlantis and pre-flood Planetary Empire is sunken between Santa Maria and Sao Miguel isles of Azores. We are going to publish next forbidden histories. Scientific dissidents have many magnificent discoveries to you. After Apocalypse (10465B.C.) In Egypt and around the world, no one could build the Atlantians’ jet crafts - different models of "Mercury". Survived crafts after the deluge have been captured by potentate from “Elephant City’ - Delhi. Jet crafts in the water gradually were spoiling by corrosion of salt water. For thousands of years in Egypt and throughout the world assimilated generation of Atlantis knew real meaning of word «Mercury». 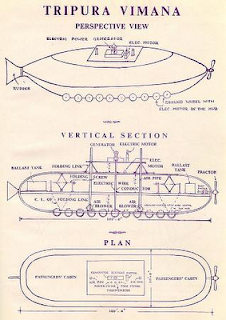 It is not difficult to guess that any jet model Naval and Civil crafts of "Mercury", the Atlanteans were designed primarily for the rapid movement over the water surface. P.S. For decades mainstream scientists have the Ostrich position against magnificent discoveries. They do not want to see beyond the old teaching – “beyond the sand”. Teaching old false is fully acceptable for the mainstreamers. You can help young generation and many others. Publishing «Forbidden real histories» in the other mass media, you will protect mind of many people from false attack by mainstreamers. For decades we have no financial support by government and absolutely ignorance and boycott by mainstream science. Hypocrisy, arrogance, pride, anger, indignation have no limits by counterfeiters of sciences in relation to the dissidents. We are working for the mankind to explain truth. Our favorite information about Forbidden True History and Magnificent Discoveries on Atlantis you can find in the links for free. PHENOMENAL HISTORICAL BOOK ON KINDLE !!! PREVIEW - HOW THE PRECIOUS METALS AND STONES EXTERMINATED ARYANS NEAR THE POST-FLOOD BOUNDARY. 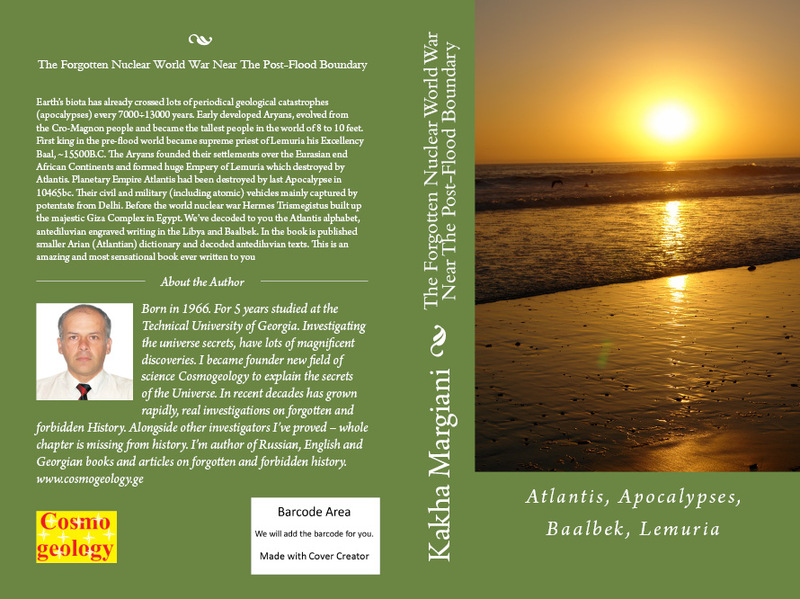 My third book is dedicated to forgotten and forbidden history as well. 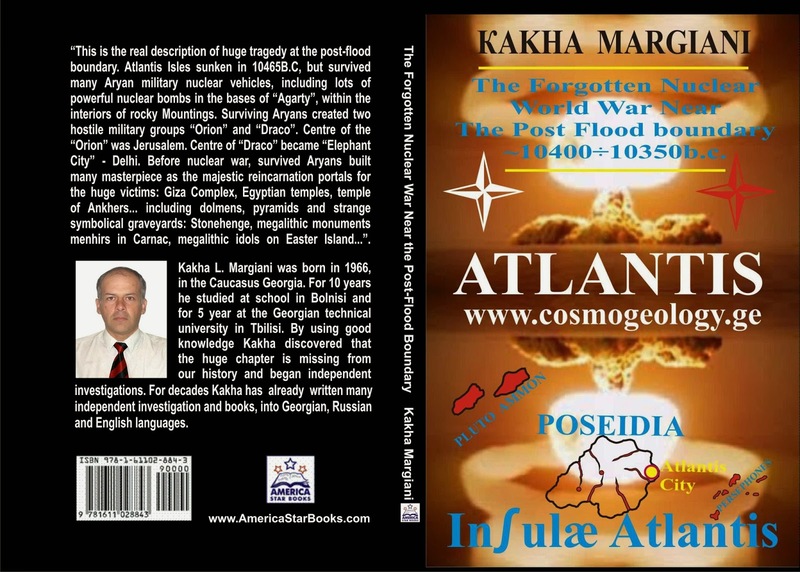 The secrets of the survived Atlantis treasures are interrelated to terrible histories. Survived military vehicles (including atomic) have been captured by the Aryan potentate from Elephant City (Delhi). Nuclear war From Delhi ~(10400-10350)B.C. 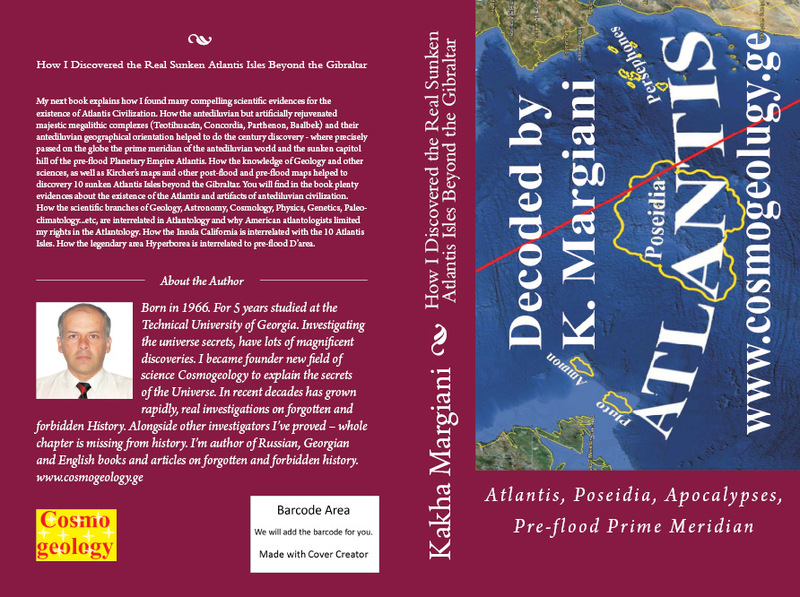 began to capture the survived Atlantis treasures worldwide. Eventually Delhi became Metropolis of the destroyed and exterminated world. They robbed each Aryan settlement worldwide and killed all who opposed the invaders from Elephant City. Global banditries and anarchy produced lots of pirates groups and criminal gangs all around the Earth. You’ll understand sensational news – How the "Soviet Bear" USSR was robbing sunken Atlantis Isles in 1970s and 1980s.